For iOS and Android devices, we'd like to introduce a nifty addition to our Nap Activity. You'll now have the ability to record the start and end times for a nap separately. Children who are marked as currently napping will have a special symbol next to their profile picture as a reminder to record their nap's end time. Click here to find out more. 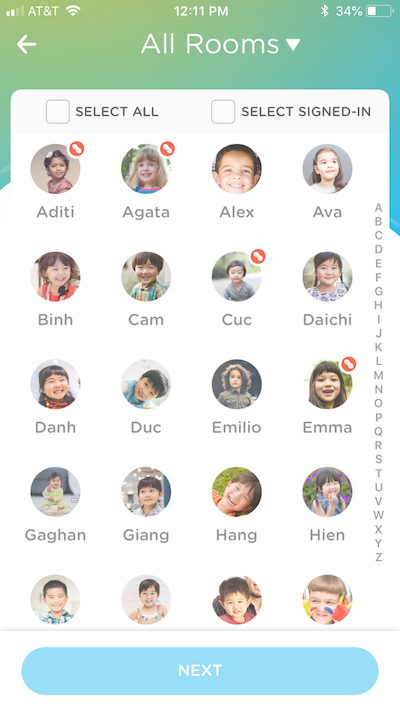 Additionally, when iOS users go to the Acitivites --> Meals section, they will now be able to view an icon next to the profile pictures of students who have allergies. Click here to learn more.